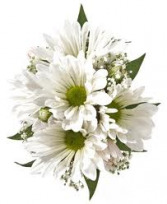 Whitesboro Florist | Whitesboro NY Flower Shop | KOWALSKI FLOWERS INC.
Our floral bouquets are hand-made & hand-delivered. 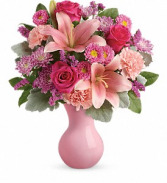 We deliver to the Marcy & Whitestown areas- Yorkville, New York Mills, Oriskany & Whitesboro since 1983. 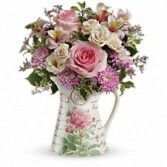 NOTE-Floral bouquets are not always exactly as pictured, we try to design as similiar as possible to item shown. 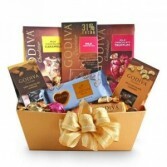 Treat someone special with this delicious basket of gourmet chocolate treats from Godiva. 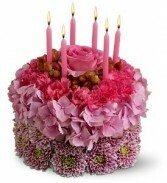 Enjoy cookies, bars, pretzels, bars, coffee & more. Hand-selected & hand-made. 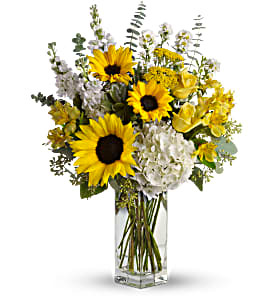 Brighten someone's outlook with this sunshiny array of blooms. 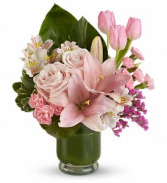 A heartwarming choice for a special day, or just because, these glorious roses and lilies are hand-delivered in a fabulous food safe pitcher they'll enjoy for years to come. 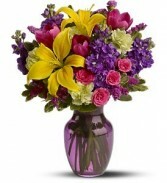 This colorful bouquet has lilies, stock, carns, alstro, roses in bright beautiful colors. Put a smile on their face and in their heart, with this happy as can be bouquet. 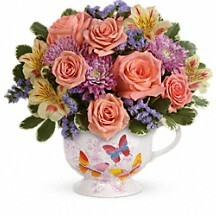 Hand-delivered in a food safe ceramic mug for years of sipping out of, this cheerful gift of roses, poms/daisies, roses and carnations spreads happiness wherever it goes. 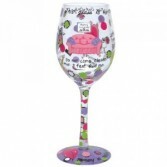 For the wine lover in your life. We hand-filled this gift basket with one (1) bottle of NYS wine with gourmet cheese, cracker, cookies & other delicious treats. Must be 21 or over. 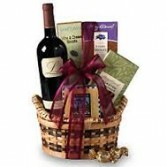 This gift basket includes 1 bottle of wine. 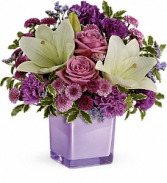 These luxurious lavender roses, crisp white lilies poms and carnations are poised to please! 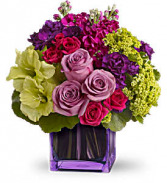 Prefectly presented in a stylish glass cube, it's an any occasion surprise they'll never forget. Want to send a whole lot of sunshine to someone who's on your mind today? 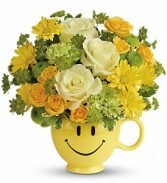 This happy bouquet really delivers! 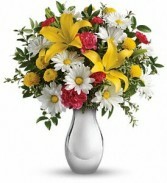 Georgeous sunflowers, hydrangeas, stock/snaps, alstroemerias, roses and fillers make up this singularly spectacular gift! 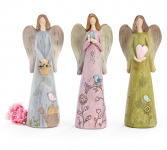 Some days you feel like you need a hug. Send this adorable white bear that hugs a bouquet of snapdragons/stock, roses, carnations, filler and accented with assorted greens. 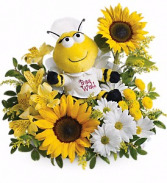 A cute bear keepsake to hold dear! 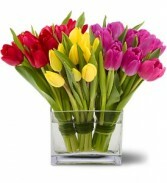 Contemporary design with 30 stems of fresh tulips in glass container accented with foliage. Just the right give for new baby and his nursery! 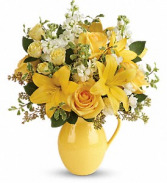 This hand-painted large yellow ceramic duck is filled with poms, roses, carnations, lilies and asorted filler. 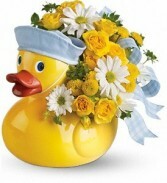 Dressed in a blue sailor cap with bow. 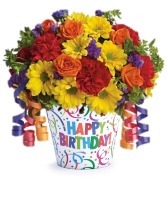 Tell the birthday girl to make a wish on these candles!Beautiful fresh flowers designed as a birthday cake roses, poms, daisies, & filler accented with candles.